Disney Babies Blog: Transfer Week! I've been posting a LOT of amazing deals going on at Walt Disney World, but now here is a special one for my readers!! I always recommend using a travel agent - saves you time for so many reasons, but here are a few more awesome reasons to switch now!! Are you ready for an after the holidays gift for YOU? It's Disney Transfer Week! 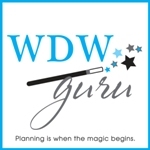 For one week only, you can transfer your reservation to Kelly with Disney Guru Travel and take advantage of incredible freebies, just for Disney Babies Blog Readers readers. If you booked your Disney World package with Disney (by phone or online), you can let Kelly help you with your vacation planning. MousePerks - Hundreds of crafts, activities sheets, tips, and more created just for our guests. Receive magic in your email box! Autograph Pictures of Mickey Mouse - You and/or your kids will love the autographed pictures of Mickey Mouse! Disney Florist In Room Gift - You choose of a Disney Florist gift!. If you have kids, you can choose the personalized Mickey Mouse ears with autograph book and pen. This gift is delivered to your room at Disney World. This gift is valued up to $208 for 4 children. OR you can choose the Mickey Treat Cooler with Mickey Mouse plush, Mickey clock, snacks, and Mickey Cooler (valued at $75). You pick the in room gift that best bits your family! Transferring is easy!! All you have to do is complete this form. Kelly will contact you to see if you have any additional questions and then email you a transfer form. You will sign the bottom of the transfer form and fax to Disney. It then takes Disney about a week to add them to your reservation. Everything else stays the same on your reservation. Then let the fun begin!